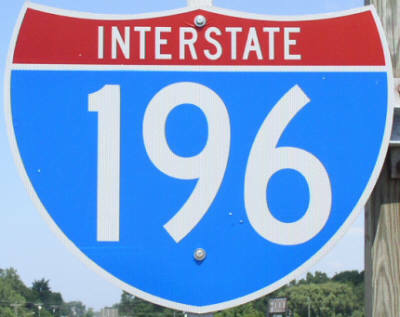 Interstate 196 is a north-south highway running from a junction with Interstate 94, near Millburg, to Interstate 96 at Grand Rapids. 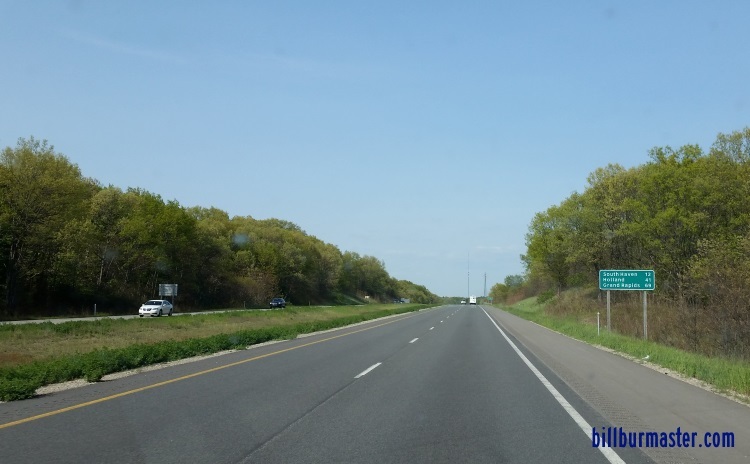 Most of this highway runs with U.S. Rt. 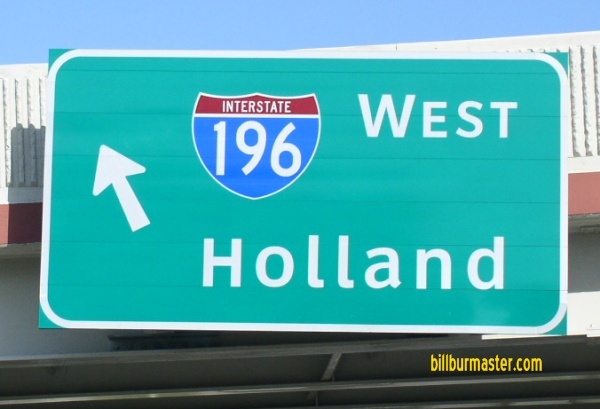 31 from near Holland to the southern end point. 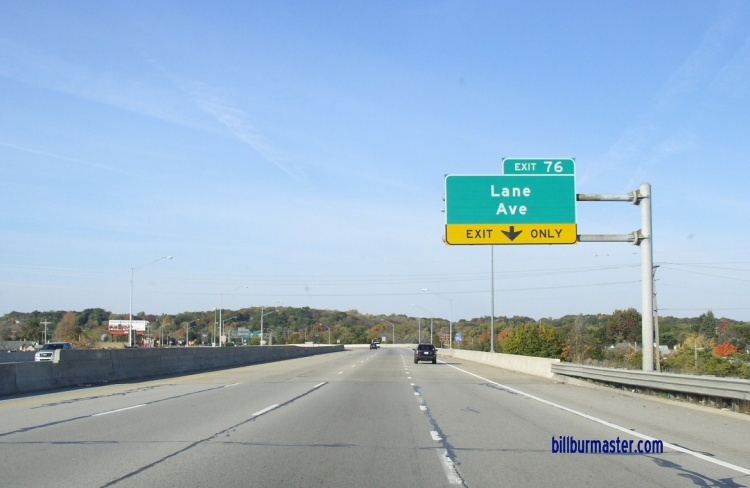 This is the main link between Chicago and Grand Rapids. 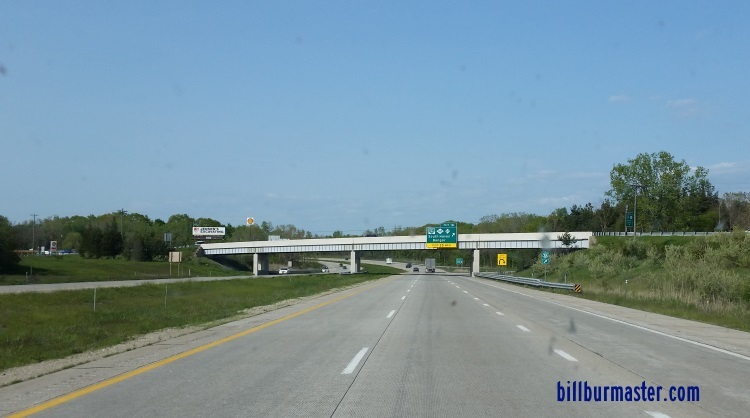 It also provides a link to Western Michigan from the southern regions of Lake Michigan. 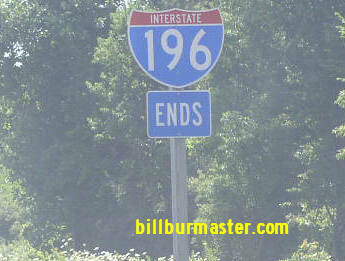 This is also one of the few interstate spurs that has a spur of it's own. This has three spurs. 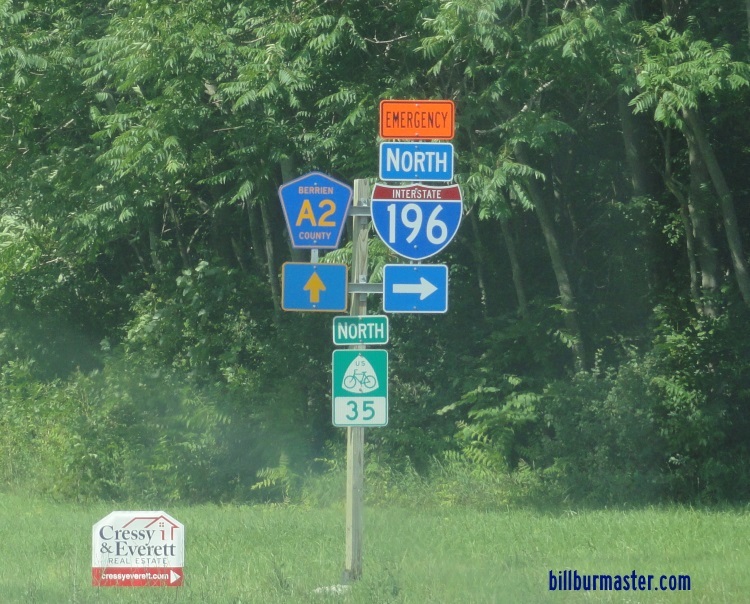 While in Michigan, I-196 is multi-plexed. ...U.S. Rt. 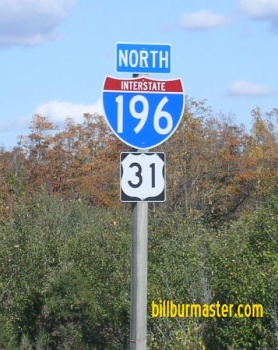 31, from near Millburg to near Holland. 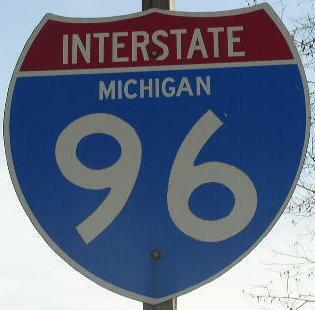 In Michigan, Interstate 196 crosses the following interstates. 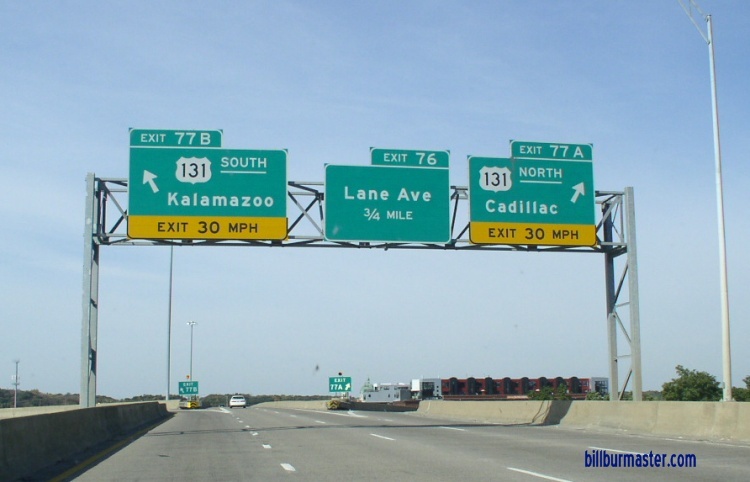 SB I-196/U.S. Rt. 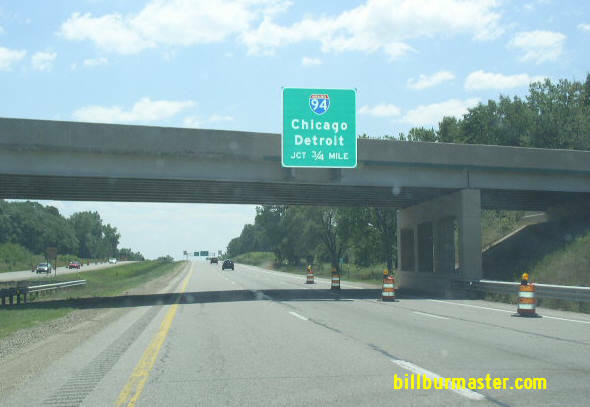 31 3/4 mile from I-94. 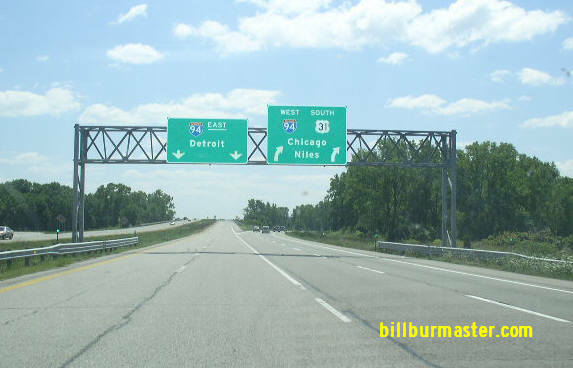 SB I-196/U.S. Rt. 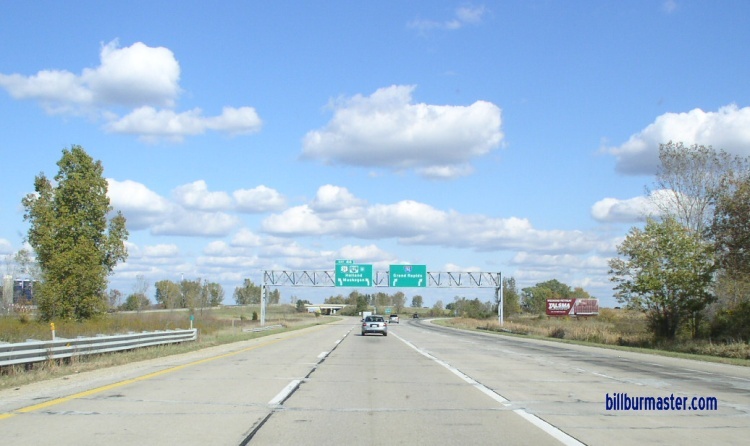 31 near I-94. 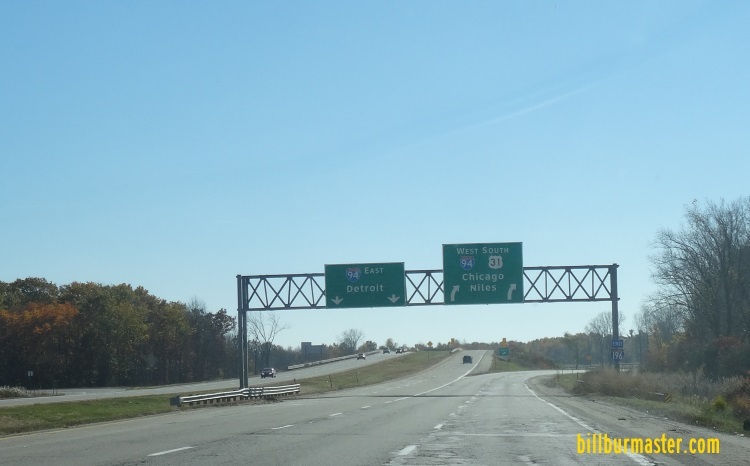 SB I-196/U.S. Rt. 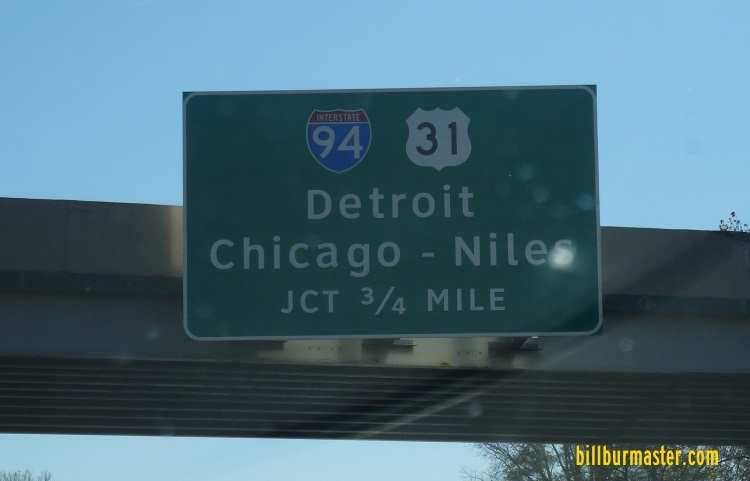 31 at I-94. 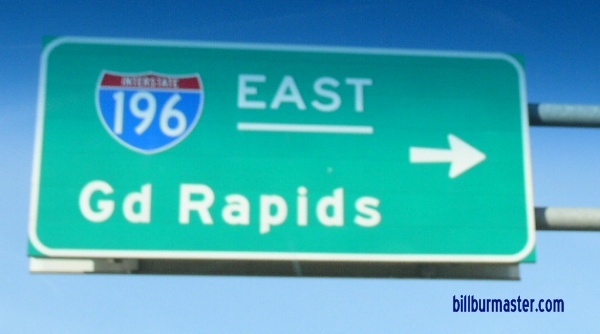 Interstate 96, at Grand Rapids. 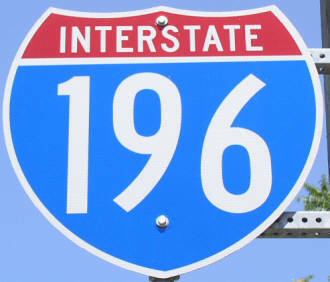 Info on the Parent Route of I-196. 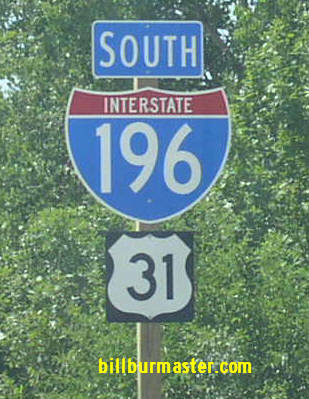 The southern end of I-196. 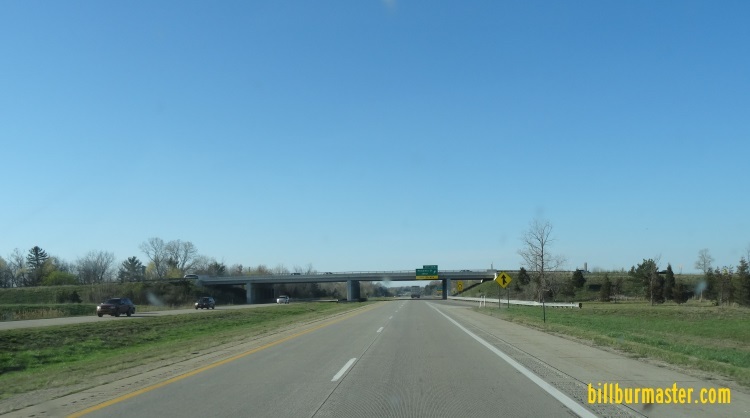 NB I-196 north of I-94. 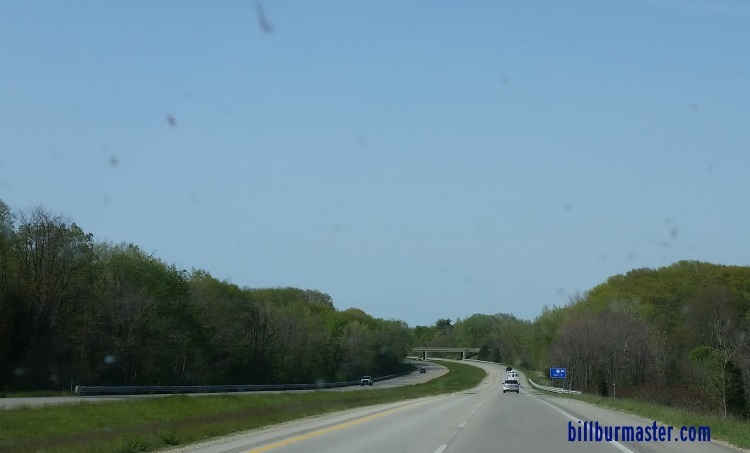 NB I-196/U.S. Rt. 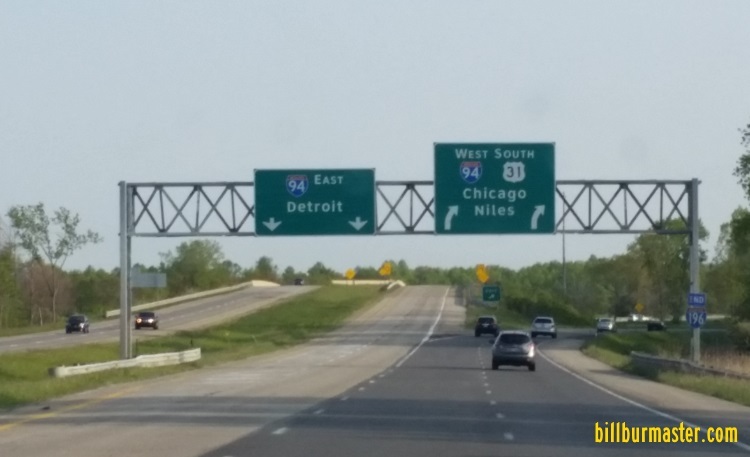 31 north of I-94. 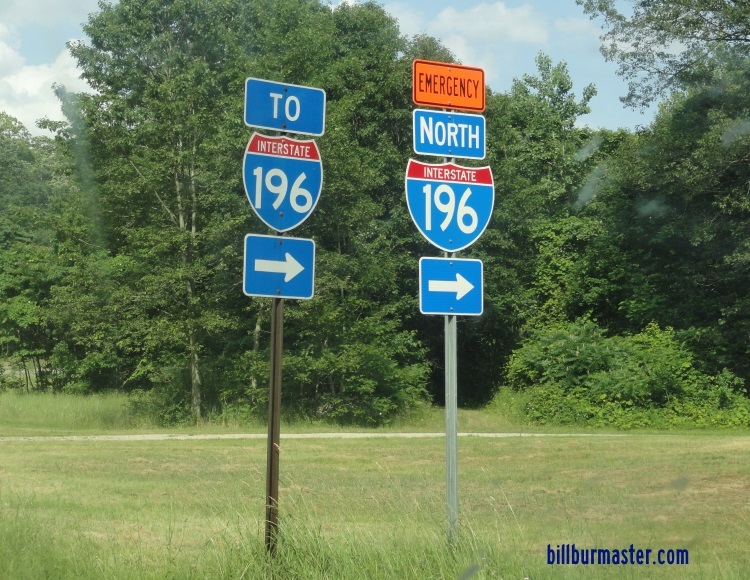 NB I-196/U.S. Rt. 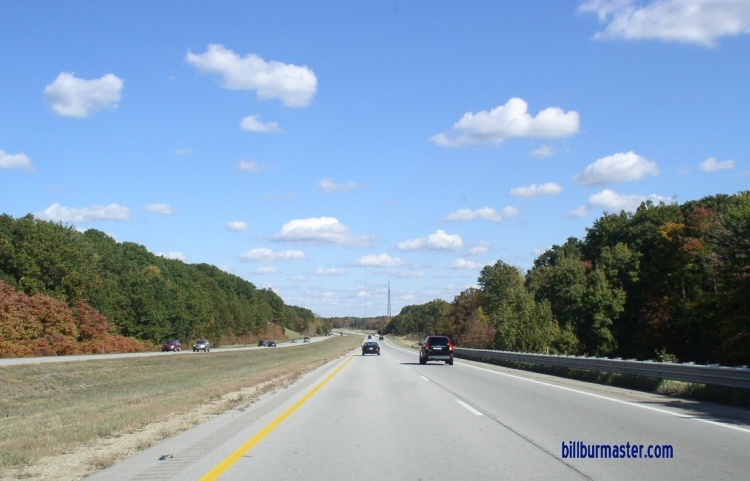 31 near Coloma Road. 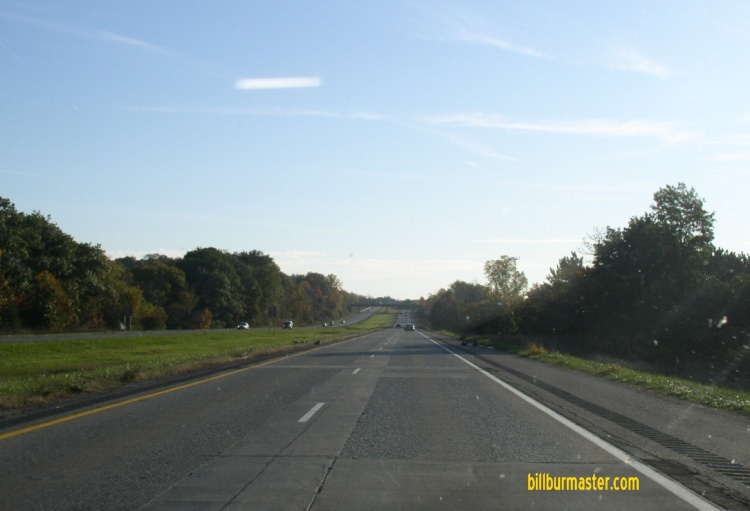 NB I-196/U.S. Rt. 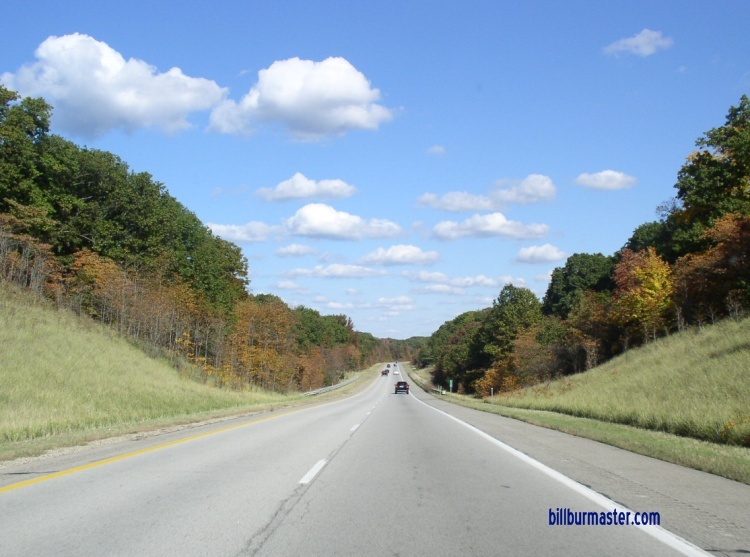 31 south of MI St Rt 63. 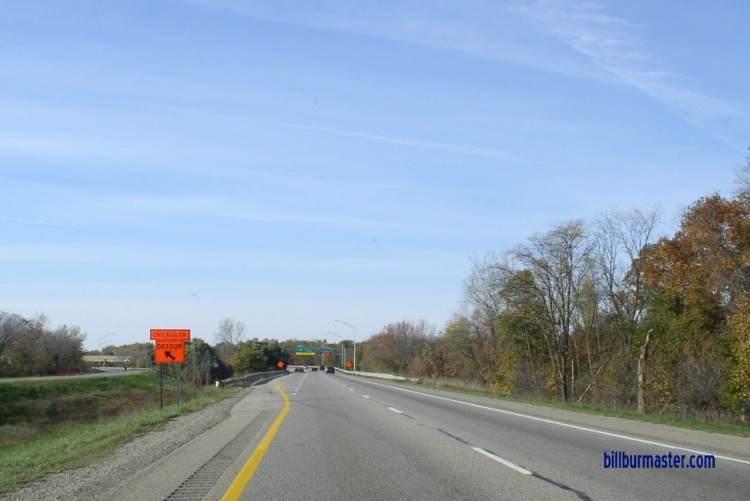 NB I-196 at MI St Rt 63. 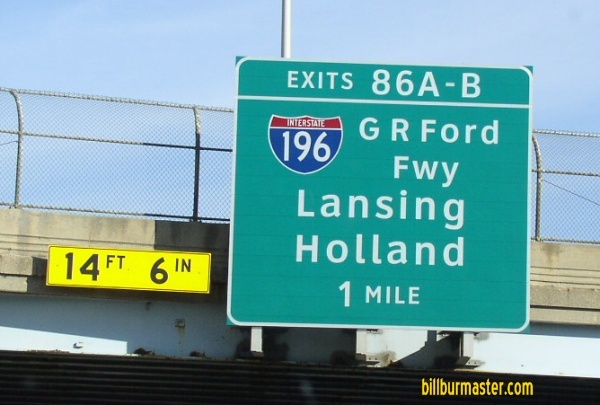 A BGS on MI St Rt 63. 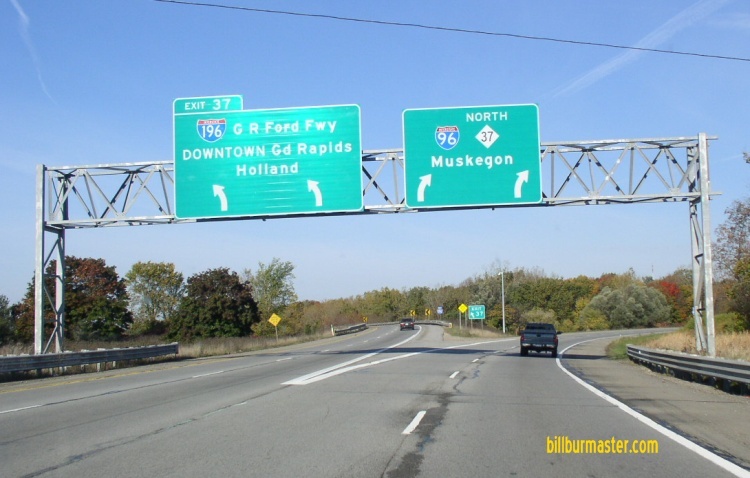 A guide marker on MI St Rt 63. 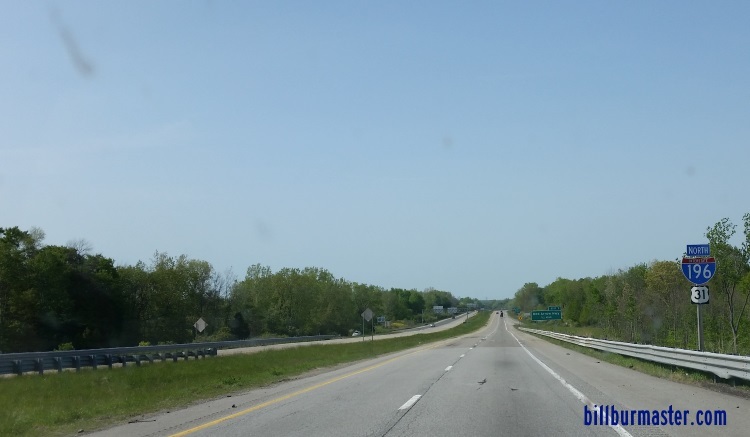 NB I-196/U.S. Rt. 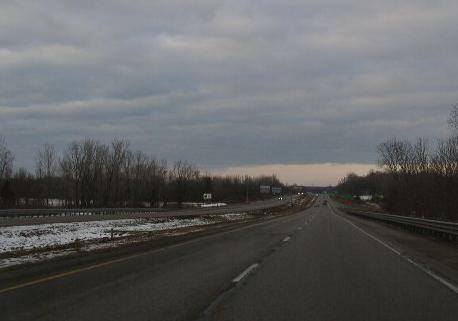 31 north of MI St Rt 63. 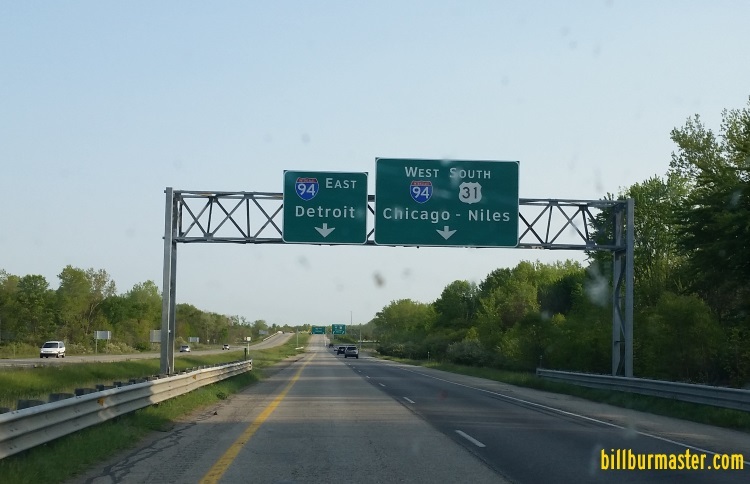 NB I-196/U.S. Rt. 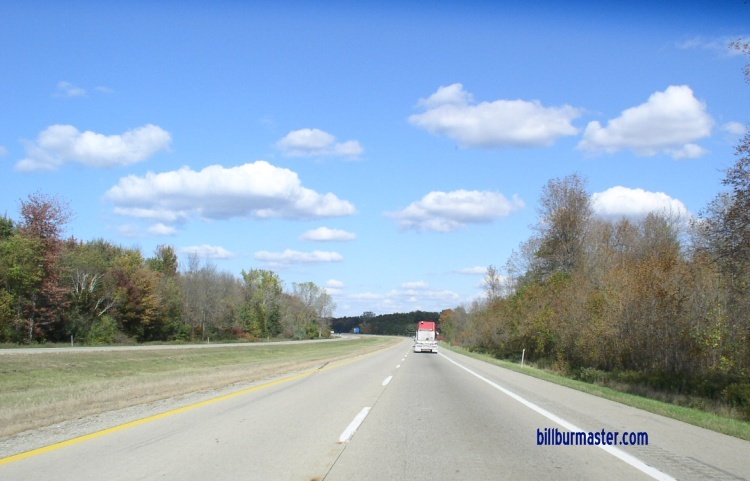 31 near the Berrien/Van Buren County Line. 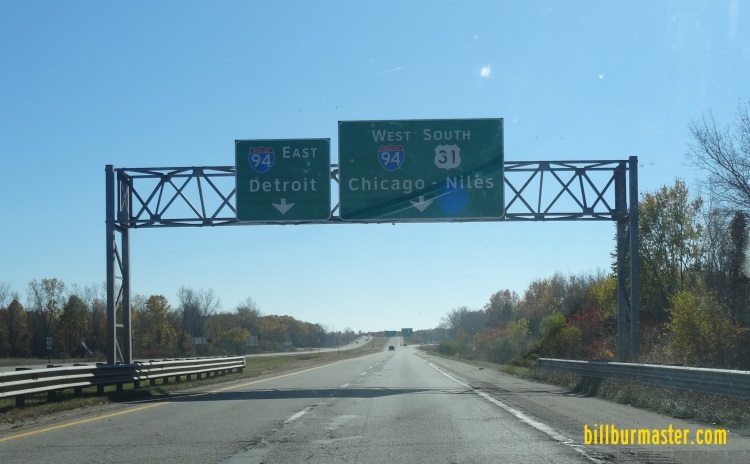 NB I-196/U.S. Rt. 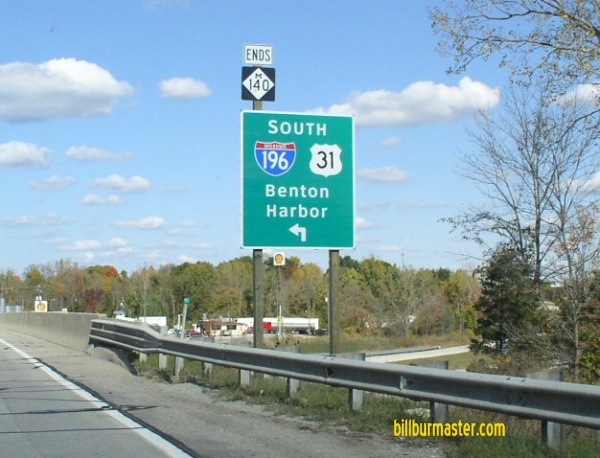 31 at the Berrien/Van Buren County Line. 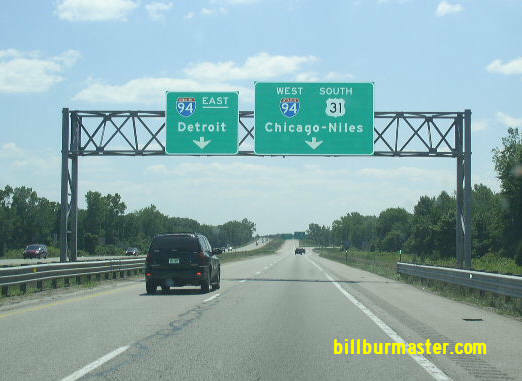 NB I-196/U.S. Rt. 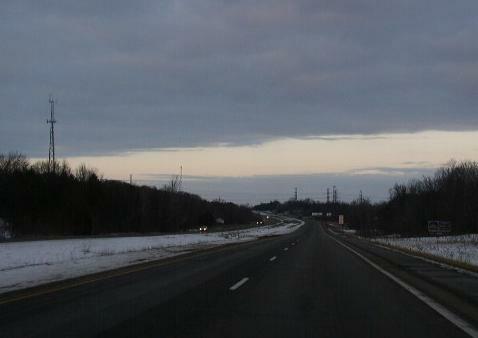 31 near Covert. A guide marker on NB VBCH A2. 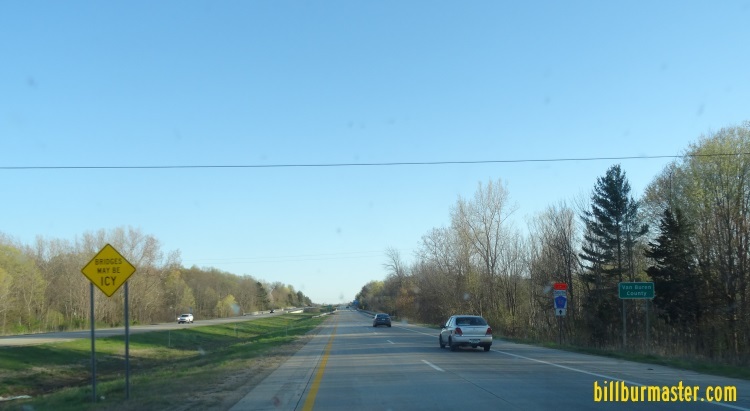 NB I-196 in West-Central Van Buren County. 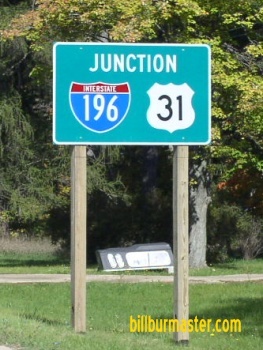 A junction marker on NB MI St Rt 140. 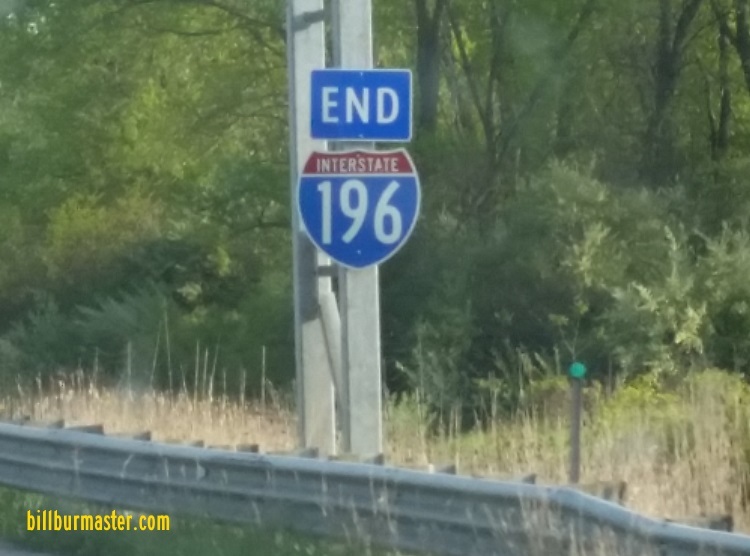 NB I-196/U.S. Rt. 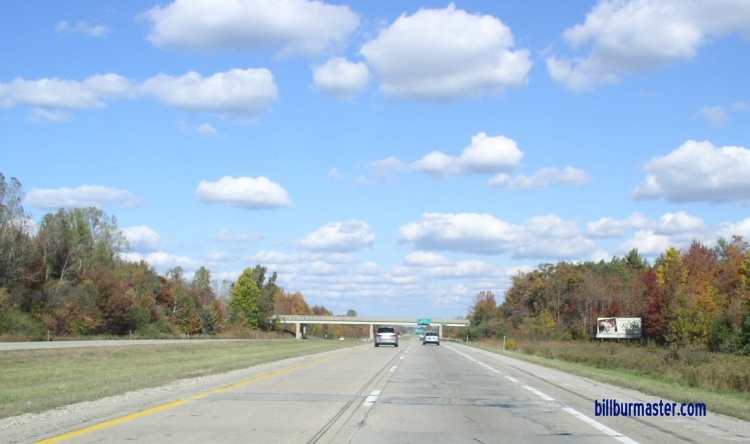 31 at MI St Rt 140. 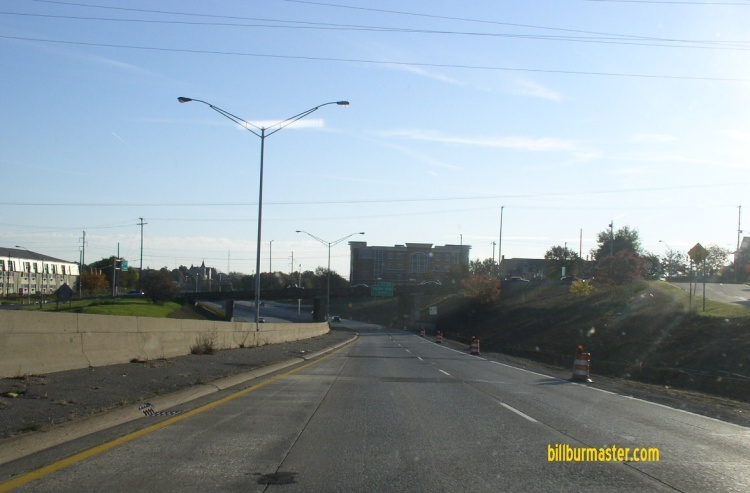 A BGS on NB BUSN Loop I-196/MI St Rt 140. 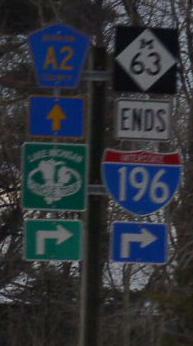 A set of guide markers on NB BUSN Loop I-196. 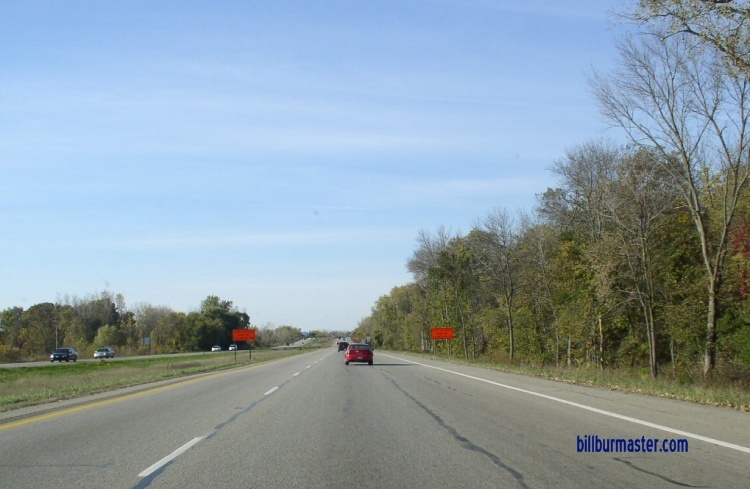 SB I-196/U.S. Rt. 31 south of South Haven. 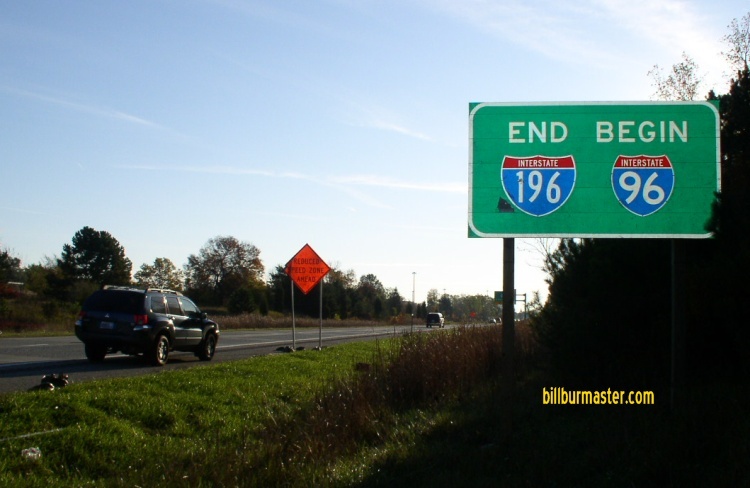 NB I-196/U.S. Rt. 31 at South Haven. 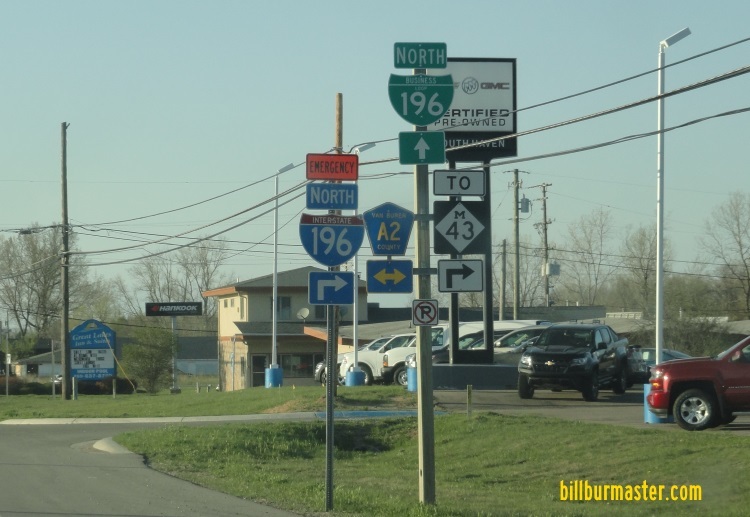 NB I-196/U.S. Rt. 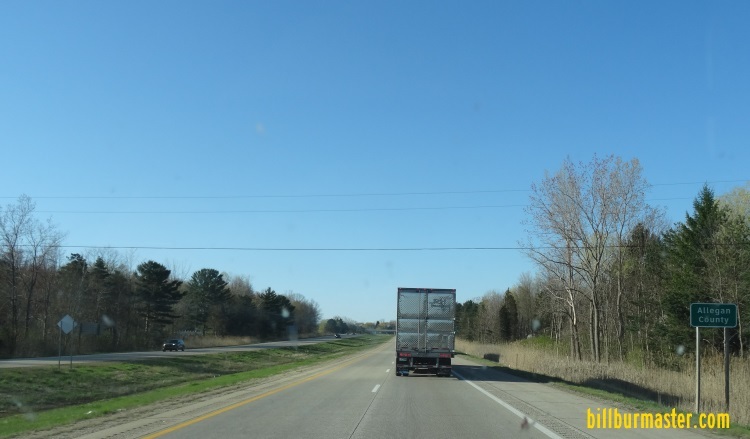 31 at the Allegan/Van Buren County Line. 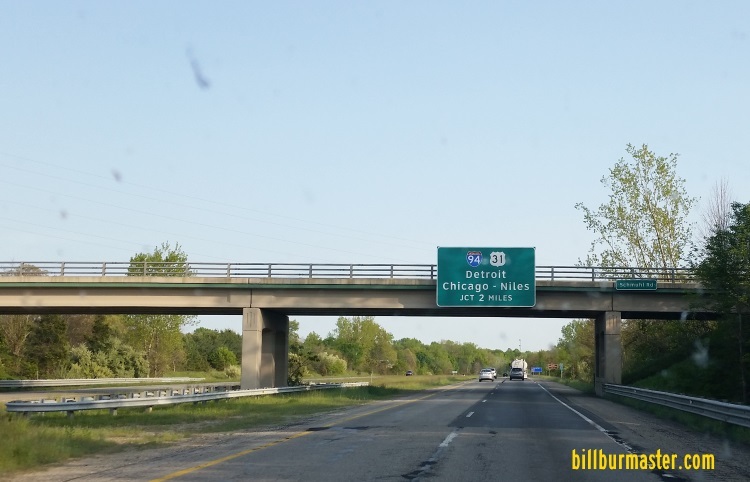 SB I-196/U.S. Rt. 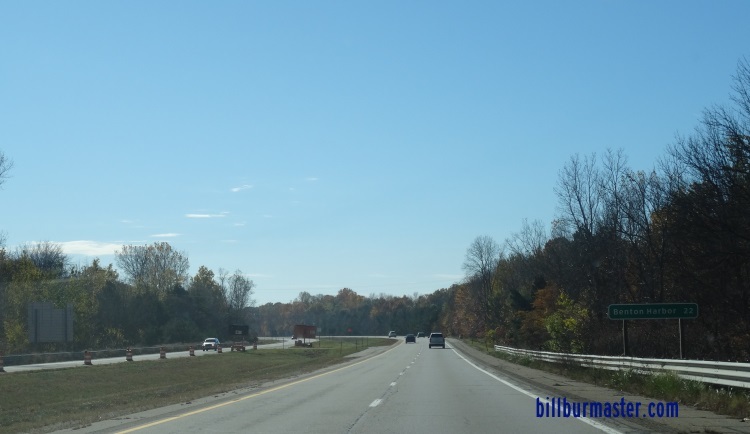 31 at the Allegan/Van Buren County Line. 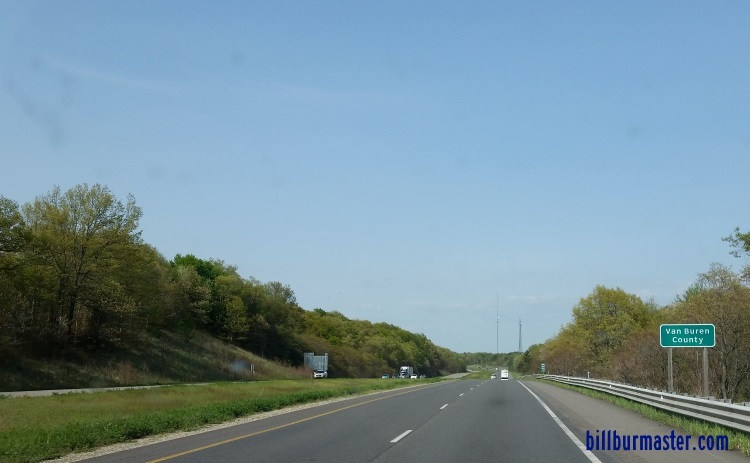 SB I-196/U.S. Rt. 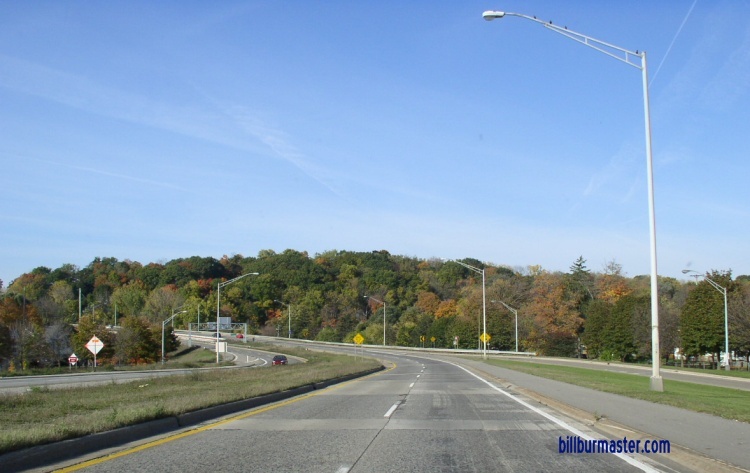 31 near the South Haven Country Club. 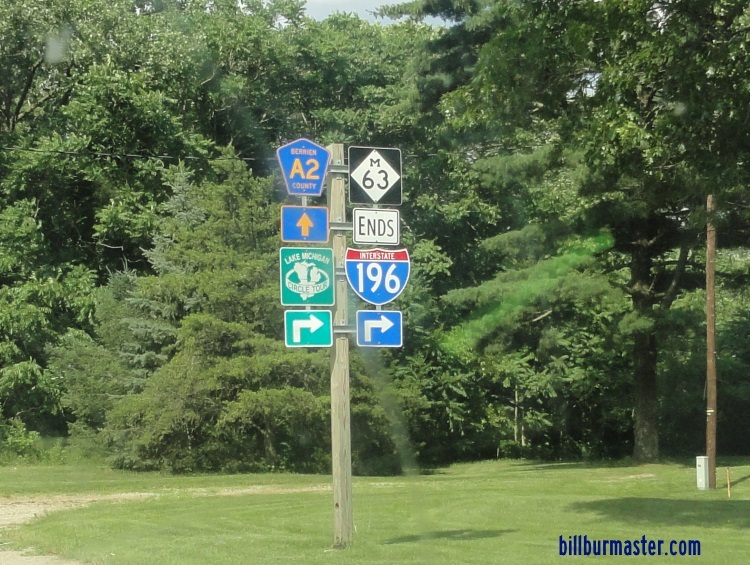 A guide marker on the Blue Star Highway. 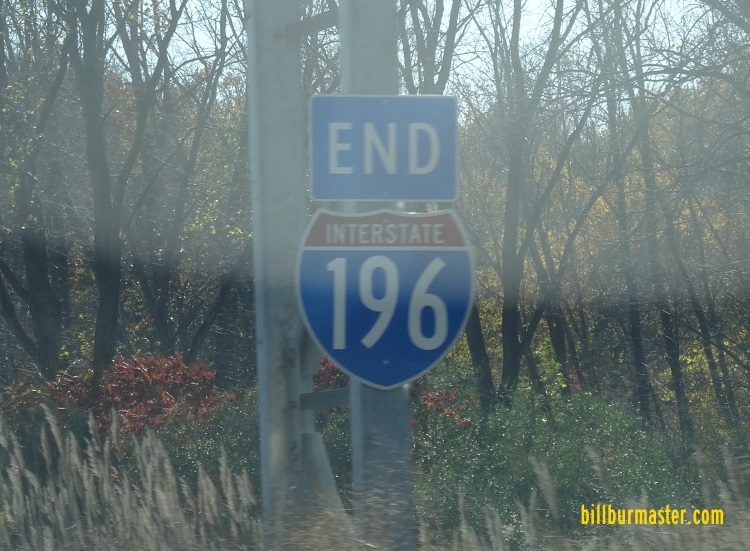 NB I-196/U.S. Rt. 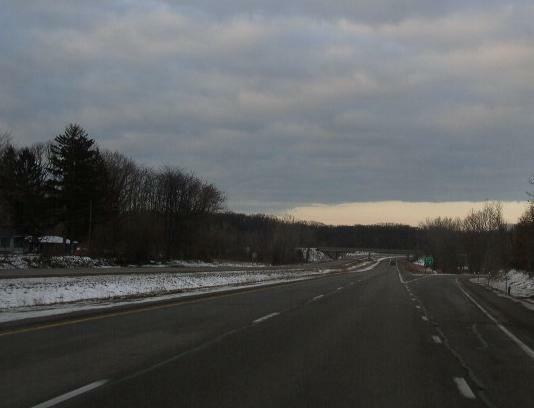 31 south of MI St Rt 89. 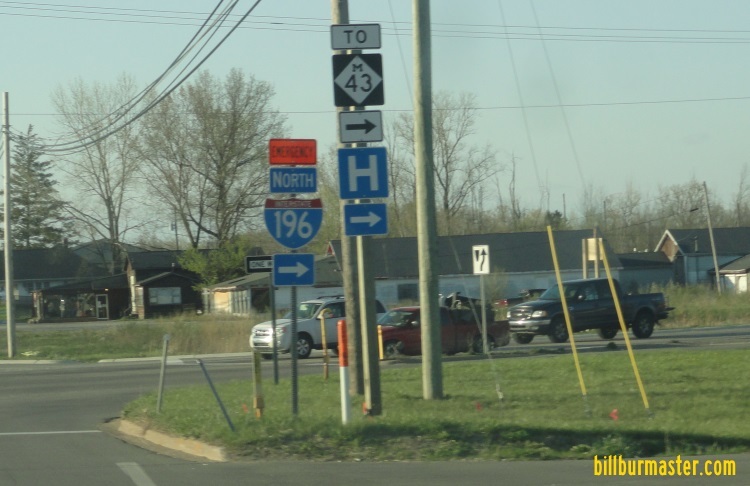 NB I-196/U.S. Rt. 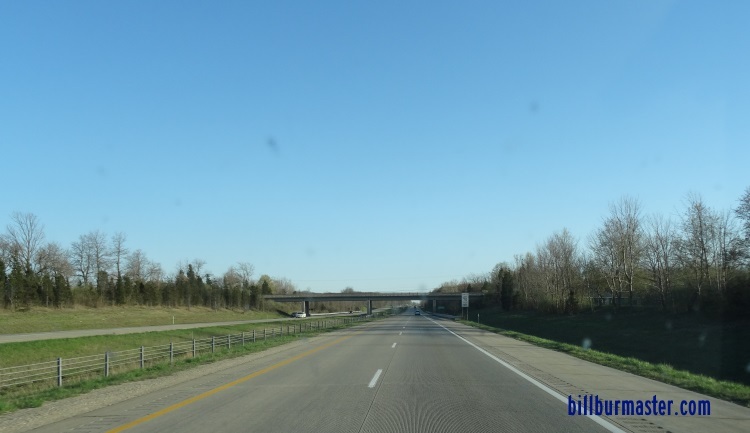 31 south of Holland. 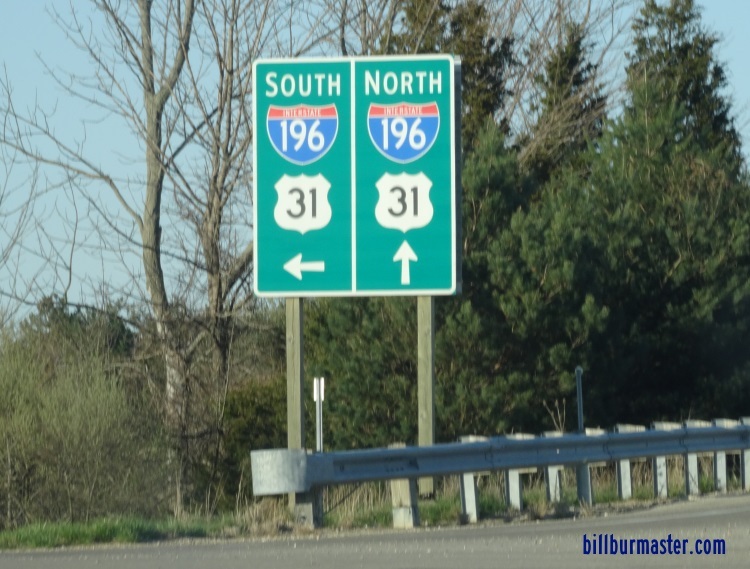 NB I-196/U.S. Rt. 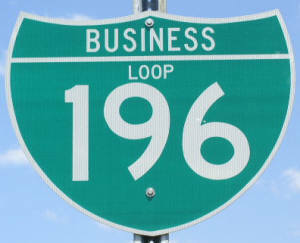 31 near BUSN Loop I-196 on the southwest side of Holland. 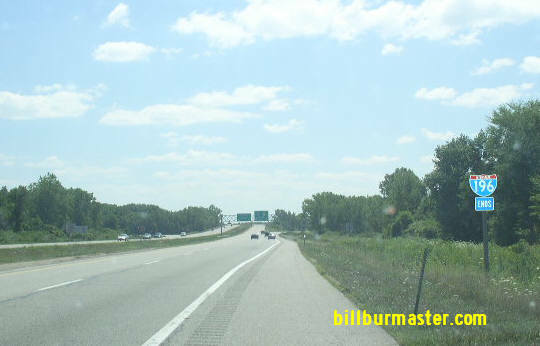 SB I-196 near MI St Rt 11. 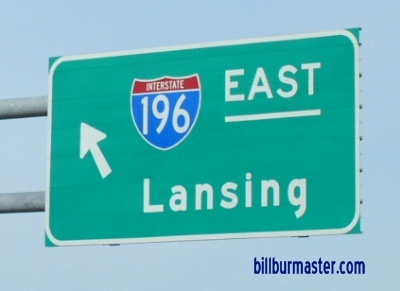 SB I-196 near Lane Ave in Grand Rapids. 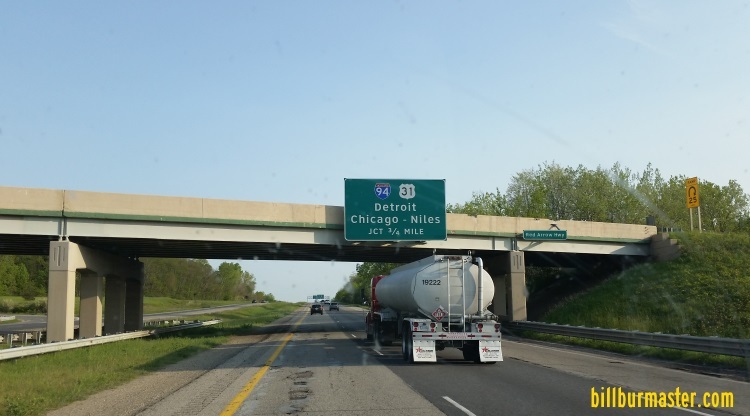 SB I-196 west of I-296/U.S. Rt. 131. 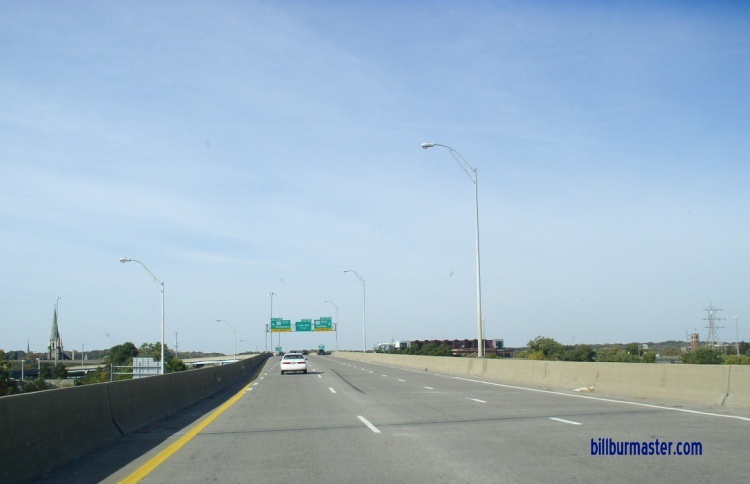 SB I-196 over the Grand River. A BGS in Grand Rapids. 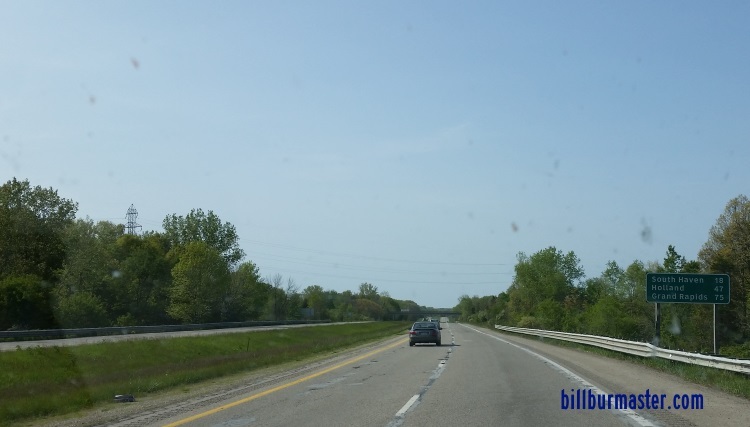 WB I-196 east of I-296/U.S. Rt. 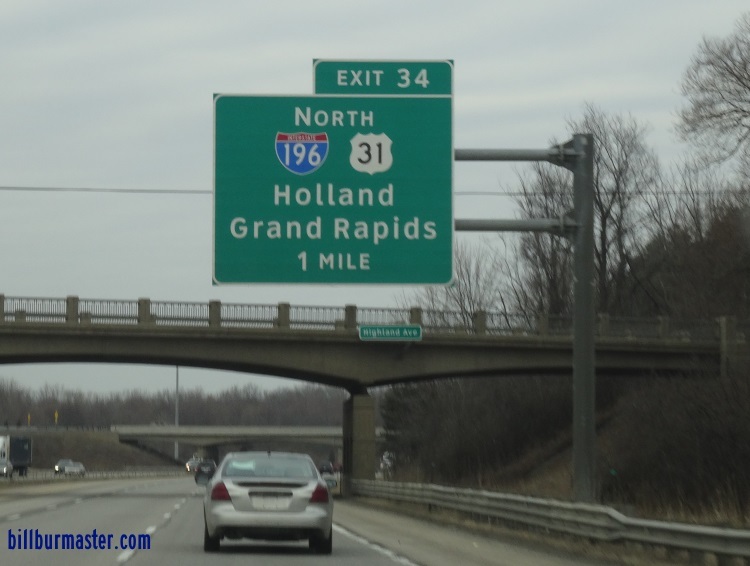 131 in Downtown Grand Rapids. WB I-196 near Mary in Grand Rapids. 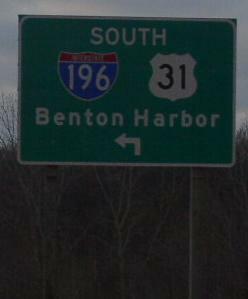 The northern end and end marker on NB I-196.